Welcome and thank you for visiting my practice web site. My practice is dedicated to shoulder injury treatments including shoulder arthroscopy and reconstruction. 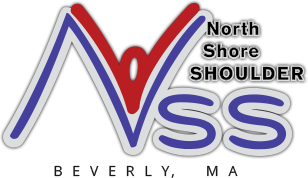 My website has been designed to provide our patients and other visitors with information about the practice, services we offer, patient education, office forms and much more. Arthroscopy is a minimally invasive diagnostic and surgical procedure performed for joint problems. 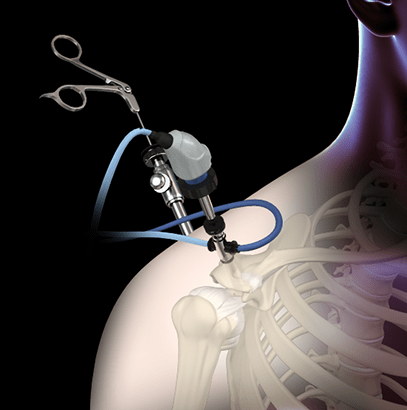 Shoulder arthroscopy is performed using a pencil-sized instrument called an Arthroscope. The arthroscope consists of a light system and camera to project images to a computer screen for your surgeon to view the surgical site... Arthroscopy is used to treat disease conditions and injuries involving the bones, cartilage, tendons, ligaments, and muscles of the shoulder joint. bring with you to your first appointment. 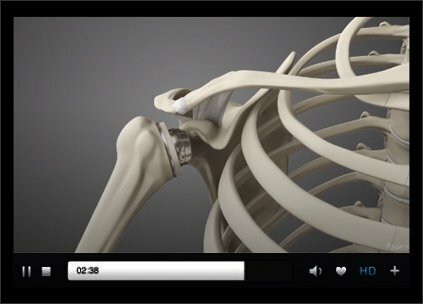 Dr. McLaughlin has used his knowledge of shoulder anatomy and function to create a new knotless anchor for both rotator cuff repair and labral repair, the Knotilus Loop implant system. I had rotator cuff surgery by Dr. McLaughlin on January 4. I was prepared to suffer a long recovery but 2.5 months later I am beyond happy with the results! I have a few more PT sessions, but I am feeling the pain ease up every week. Having the procedure at the outpatient center was beyond my expectation, in and out in half a day. Wow! 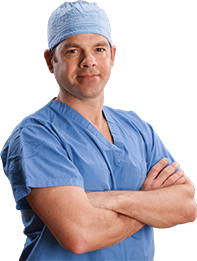 Dr. McLaughlin performed a Rotator Cuff Repair on me back in November 2017. It was done so well that my recovery went amazingly fast and was basically painless. He develops a good professional relationship letting you know what to expect through the entire procedure as well as the after care. Thanks for the GREAT job and if I ever need work done again...I will be back! I've been suffering with shoulder pain for the last 20+ years constantly rolling from side to side in bed to get relief. Dr. McLaughlin quickly determined I had a complete tear of the rotator cuff as well as a frayed biceps tendon which was noticed during surgery and repaired as well. It has been 3 months since my surgery and I am back doing demolition. My shoulder feels amazing no more aches or pains. Dr. McLaughlin specializes in offering the most advanced & innovative shoulder treatments specifically tailored for each patient. As a shoulder specialist, Dr. McLaughlin is happy to review MRI, CT & X-rays and provide treatment recommendations whether you are seeking an initial evaluation or a second opinion. You can schedule an appoint by contacting our office or upload diagnostic imaging studies for an expert review.